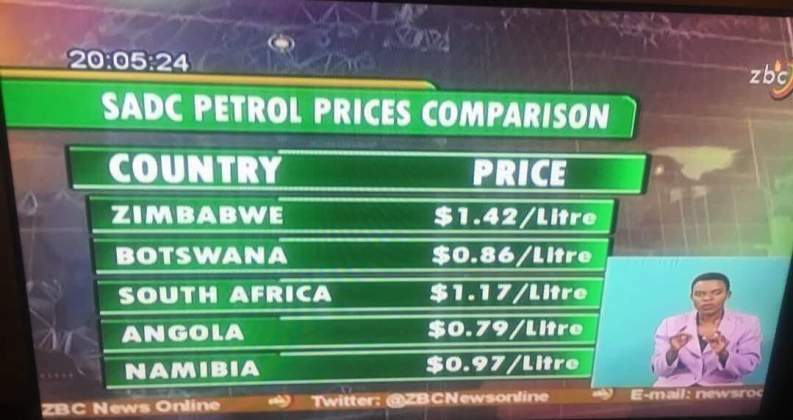 AFTER weeks of chaos, fuel prices in the country fell by at most four cents, with Energy minister Joram Gumbo attributing this to a dip in international crude oil margins. A survey around Harare showed that most service stations had reduced petrol prices from $1,43 to $1,39 per litre, with availability seemingly having stabilised and queues that had become an eyesore no longer visible. "We only have a problem with diesel. Petrol supplies have stabilised. We have enough stocks and that is why maybe the price has fallen. No retailer wants to hold it for long. The more we sell, the better the margins. We have been asked to push volumes," a fuel attendant in Harare said. Following the announcement of a new monetary regime that included a 2% transactional tax, Zimbabwe spiralled into fresh economic turmoil last month, with basic goods disappearing from supermarket shelves. Shortages of fuel, one of the most important industrial inputs, also re-appeared, with motorists being forced to queue for the commodity for long hours on end as government scrambled to deal with the desperate situation. Gumbo yesterday said prices would continue to fluctuate in the coming days and weeks. "We are monitoring international oil prices and when they fall, our retail prices will follow suit. We will also allow the local market to determine the prices, but under strict monitoring. If international oil prices rise, you will see a similar movement here," he said. The shortages, which Gumbo last month attributed to panic-buying, triggered black market trade in the commodity in Harare and other cities, with illegal fuel dealers cashing in on the crisis, charging as high as $2 per litre against a pump price of $1,40. The spiralling United States dollar parallel market went into meltdown after Finance minister Mthuli Ncube announced a 2% tax on all electronic transactions, triggering a fresh wave of price increases and consequently shortages. In response, President Emmerson Mnangagwa's government capitulated to public demands and indefinitely suspended sections of Statutory Instrument 122 of 2017 to increase the flow of basic goods into the market, mainly from neighbouring South Africa, ahead of the festive season and ease pressure on foreign currency demand on the Reserve Bank of Zimbabwe.